When assigning certain types of content to your students, you may come across a lock symbol. There are a couple of reasons that this may occur. Smart Lesson Smart Lessons are lessons that are made up of information slides and multiple styles of questions. Translation List Translation Lists are a list of words that can test your students' Language vocabulary. Fact List Fact Lists are for testing technical vocabulary. Spelling List Spelling Lists are a list of words that can test your students' spelling. Pre-built Assessment A pre-built assessment is an assessment based on a past exam or diagnostic test, or which has been created by a teacher at your school. Smart Lessons cannot be assigned alongside Lists due to the reporting requirements being so different for the two types of Content. When you assign content of one type, locks will appear on the other type of content. If you want to assign two or more different types of content, you'll need to assign them in separate Tasks. 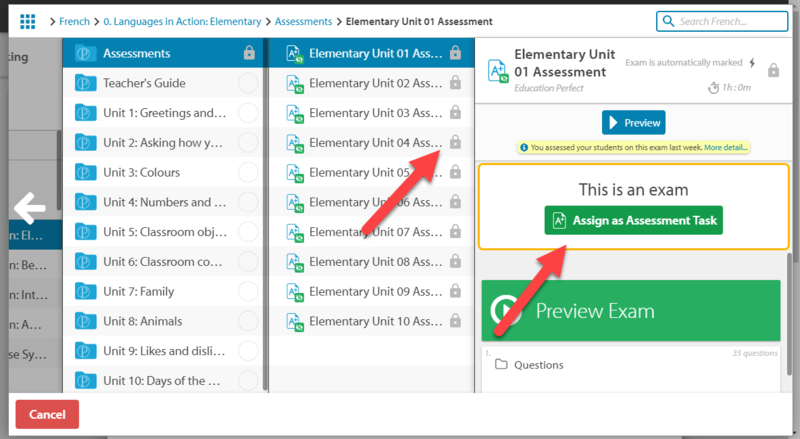 When assigning a task, any pre-built assessments will have a lock icon on them. This is because this content is specifically formatted to be assigned as an assessment. You will need to assign these as an assessment rather than a task. The Education Perfect Content Library is grouped into levels. The levels of sorting include different year levels and separate topics. 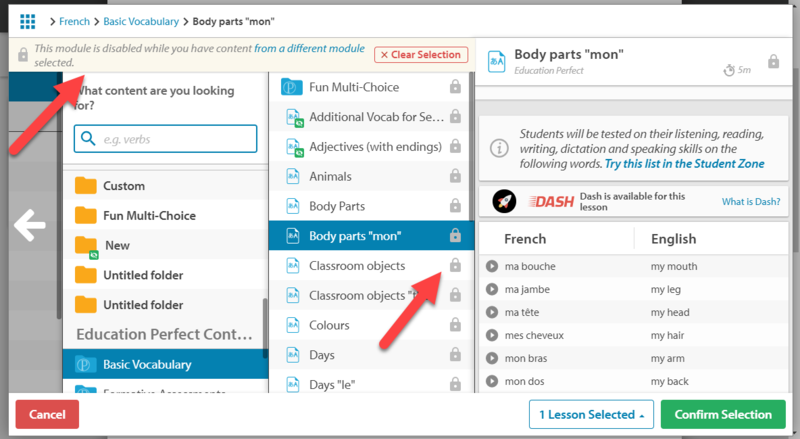 Education Perfect prevents you from assigning work from two separate modules together in the same Task. By extension, you're also unable to assign work from different Subjects (e.g. you can't assign Spanish content alongside Italian). 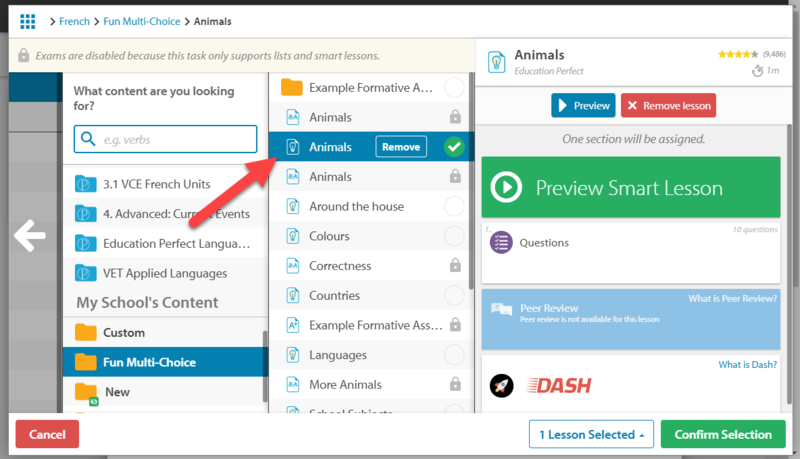 If you would like to assign tasks from different top level folders, or would like some topics shifted in your school's Content Library, you can email us at support@educationperfect.com.